The Calgary Board of Education wanted an intranet solution that would fulfill their goal of bringing personalized learning to schools across Calgary. Personalized learning is an educational philosophy about tailoring classroom experiences to the strengths and interests of each student, moving away from the kind of teaching styles that have been present in public education for over a century. Iris was created to bring this change into classrooms and help the school board facilitate a shift toward a new kind of teaching style. Now, Calgary-area youth will grow up in an education system that recognizes their contributions, encourages goal-setting, and provides a way to measure progress. To understand the people impacted by the project, Habanero consulted with teachers, school board administrators, and students. The idea was to make sure the intranet solution addressed every need and could be easily used by each audience. Iris’ intended use is inside and outside of the classroom. Teachers can use Iris to create lesson plans, share notes about student progress with other educators, and access a resource library packed with curriculum information and other teaching materials. Students are able to set goals for themselves, post their favourite assignments to a learning timeline, and see how their progress corresponds with outcomes they’ve designed for their education. Iris is a highly individualized way to make sure students are thinking about how classroom knowledge translates to greater goals like high education or post-secondary employment. The Calgary Board of Education has received the provincial government of Alberta’s highest rating for inclusive education. 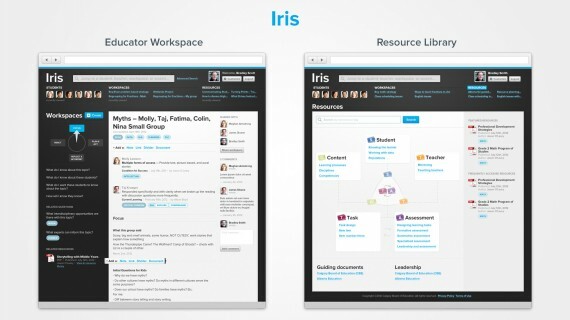 Iris contributes to this standing and is a big step toward growing the adoption of personalized learning and achieving wider recognition for the intranet. Within the schools, principals and administrators have reported increased communication, especially in terms of workflow, because teachers can use Iris to make sure each student is receiving a formative assessment, and education, that fits his/her strengths and interests. 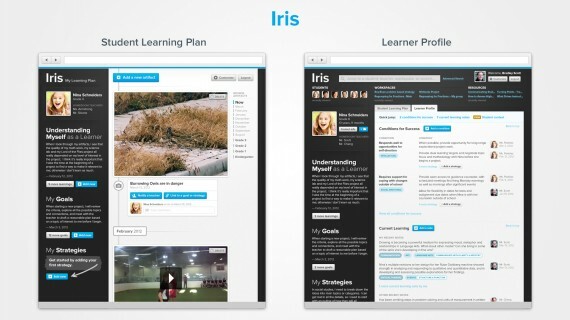 Teachers have also said there has been an increase in knowledge sharing as a result of using Iris’ collaborative lesson planning feature, a part of the intranet that allows teachers to share notes and make sure each student is supported no matter which class. Teachers can now collaborate and share resources with each other like never before, and there is significantly less time spent assessing and getting to know each student because historical educational data is so accessible. Principals can use the portal as a leadership tool to communicate shared messages and promote the achievements of staff members for entire teams to see. Iris has transformed the relationships between students and teachers and what we understand for education. To design Iris, Habanero and the Calgary Board of Education worked together doing iterative workshops, hypothetical scenarios, and usability testing. After learning more about the school board’s steps to adopt personalized learning within classrooms, Habanero’s design team could make decisions about the layout and overall approach. To continually work with end users in mind, both sides engaged in day-in-the-life scenarios to help visualize how Iris would be used in classrooms. Also, during the usability tests, Habanero studied the way students of all ages interacted with Iris. This supported research done based on other existing classroom collaboration solutions and demonstrated areas where additional design innovated was necessary. Personalized learning came first and the technology was built to support it.